Enchanted Floristry hire a range of beautiful vintage props for weddings and events that showcase our floral arrangements flawlessly. Big is definitely better in our opinion when it comes to floral displays and you need stands designed to make a statement and have a big impact, just like the flowers. Our designs need to be shown off in all their glory. Alongside our creations, you can hire stand out centre pieces to give a big visual impact and add an extra dimension to your displays. Elevating the floral arrangement above the tables will mean that your guests will be able to see each other across the table. Having the right product, most suitable for the job is essential. And hiring these is cheaper than buying items you’ll only use once to decorate your venue or line the aisle. 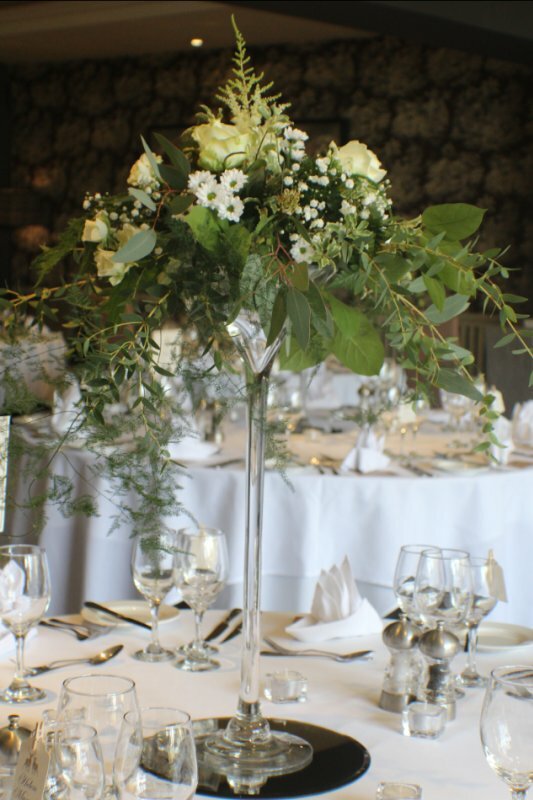 Our props will add a luxurious feel to your reception décor such as: urns, vases, plinths, silver candelabras, giant martini glasses, pedestals, tall flower stands, vintage milk churns, cake stands and even an amazing sweet trolley. We pride ourselves on providing outstanding quality products perfect to show our flowers off in the best possible way. Let us know when you’re ordering your flowers if you’d like to include our accompanying props at your event.